Languages Unlimited, LLC serves both public and private sectors with language translation, interpretation, transcription, and research. During our 21 years in business, we have continued expanding and offering exceptional languages solutions in... more than 120 languages and dialects. In addition, over the course of the years, we have assisted various State and Federal organizations communicate with clients, constituencies and employees during seminars, conferences, court hearings, medical examinations, and trade shows, to name a few. We have a global perspective and we are keen to share ideas and passion among different nationalities and cultures so as to facilitate language comprehension with no limits while fostering great ideas for the complete rejuvenation of the translating and interpreting trade. Languages Unlimited LLC reliably fulfills what has been agreed upon in consultations. Languages Unlimited LLC works within the agreed-upon budget. Languages Unlimited LLC keeps agreed-upon appointments. Professionalism can go hand in hand wih friendliness! Very professional and good communication between the interpreter and the Company. I just recently started working with Languages Unlimited and it has been an absolute blessing! I have never encountered any issues with communication or getting paid on time. Mr. Joel Letang and Mrs. Osharae Harriot-Williams uphold the utmost qualities of professionalism and friendliness. They are always ready to attend to any questions I may have throughout my assignments. All of my payments are duly processed upon submitting my invoices. Whether you are an independent consultant or a potential client, this is the company for you! They value the expertise their independent consultants bring to the table and treat them with respect, and deliver nothing but excellence to their clients. I wholeheartedly recommend Languages Unlimited -- you won’t be disappointed! This was my first time working with Languages Unlimited after a very long time. The setup was smooth, all issues were handled quickly. Communication lines were open. I am very satisfied. Positive experience; accessible to connect, representatives are professional courteous and respectful. Highly recommend this agency to obtain an interpreter or to provide interpreting services. Thank you! I enjoy partnering with Languages Unlimited LLC by providing interpreting service. This organization iprovide great service and treats it's affliate with respect. So far so good is my experience with this agency. The initial contact, process of paperwork, to addressing all concerns an interpreter may have were fulfilled. Our interpreter (I apologize that I cannot remember her name) was excellent. She was thorough and interpreted ALL of what was said. it inspired me to learn signing! We will consider you again in the future. A painless and seamless process. Thank you. As a translator I experience reliably fulfills what has been agreed upon in consultations. The company respects my suggestion on the target language. The company respects the payment schedule. The project manager is available right away. Service is very fast. Staff is very good and helping in nature. I will recommend LLC to my friends. Translated a large batch of documents for this company and it went well. Fast payment! Languages Unlimited is readily accessible in all states and even outside of the United States. They have well experience and knowledgeable consultants working with them and the Linguists are all certified and experienced in whichever jobs they are assigned. I would recommend Languages Unlimited to anyone. Languages Unlimited strives hard to constantly provide excellent service to all their Clients beyond limitations. 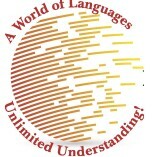 Languages Unlimited values their Linguists as the main player to successful and efficient services. LU puts forth its Client the first priority in terms of timeliness, readiness, efficiency and professionalism in every service rendered. With the 22 years in the industry, this marks its strongest point of reference to stand out and lead the performance.